There are many people who understand the feeling of being socially awkward. This is a common occurrence in high school, and one that many suffer from. This awkwardness does not stop there unfortunately. There are many similar situations that actually exist in marketing circles. This happens when advertisers take the wrong approach to social media content. Not only with this awkward content make consumers turn away, it may also cause some marketing professionals to lose their credibility. The fact of the matter is that many times social media marketers tend to appear as the “odd man out” simply due to the fact that they choose the wrong platforms for their marketing campaigns. Companies need to realize that they cannot expect to receive a good response if they use the same marketing strategy across all of the social media platforms. Understanding the type of content that should be placed on each social media site is essential to a successful campaign. Each has a personality and style all its own, which must be catered to if success is desired. When you are on Facebook, chances are you are interacting with your “friends” who are in most cases, nothing more than acquaintances. This can easily be compared to the dynamics that you would see in a “pub crawl.” While being surrounded by your acquaintances, and a few old friends, you will find yourself discussing topics from absurd to politically charged, and wander around joining in a variety of discussions. This is done among individuals who do not expect their conversations to be interrupted by an irrelevant marketing message. In order for you to effectively market on Facebook, you must first take the time to join the table. You at least have to add something to the conversation that is going on. Simply trying to sell a product or placing an ad amidst a conversation on Facebook will likely produce the exact opposite of the desired effects. On Twitter you are limited to 140 characters. This is the time to impress and make these characters work for you, not against you. If you wish to implement Twitter as part of your social media marketing strategy, you must take time to see what everyone else is saying about your brand or product. Twitter can give you valuable insight to what your customers think, want and desire from you. With Twitter you need to be able to answer the question of what your customers are into right then and then make the answer that you provide compelling enough to make consumers care and want to respond. Twitter is fast-paced, therefore you must meet this requirement with content that is meaningful to your consumers. LinkedIn is a professional arena that is not necessarily focused on the social aspect. This arena is for the meeting and benefit of yourself and your career. Here you can network with industry professionals and find ways to progress your career. If you desire to market your product or service via LinkedIn, it should be done in the context that you sound like an expert on the subject. The fact is that LinkedIn is an area that people are focused on themselves and increasing their career. This means if you are marketing something that takes away from the “awesomeness” of the users, they are likely to ignore the message completely. 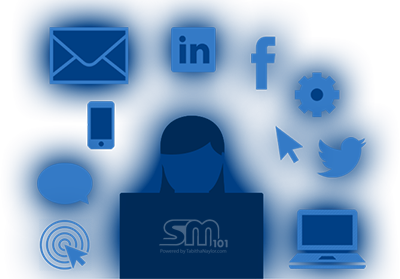 The fact is that many social media marketing campaigns over-complicate their strategies. This usually will result in a failure of massive proportions. Instead consider what users of the social networks are there for. Then make your strategy fit in with these wants and needs.